Puerperium: It is the period of 6 weeks immediately after delivery. In this period, the changes which took place in the organs/systems of the woman during pregnancy, come back to normal. This is also known as the post-partum period. Early Initiation of Breastfeeding means breastfeeding all normal new-borns (including those born by caesarean section) as early as possible after birth, ideally within first hour. Colostrum, the milk secreted in the first 2-3 days, must not be discarded but should be fed to new-born as it contains high concentration of protective immunoglobulins and cells. No pre-lacteal fluid should be given to the new-born. Prelacteal feeds: These include any food item given just after delivery, mostly just before commencement of breastfeeding. These usually include honey, ghutti, etc., depending on the local customs. The prelacteal feeds are not recommended at all. Exclusive breastfeeding means that an infant receives only breast milk from his/her mother or a wet nurse, or expressed breast milk, and no other liquids or solids, not even water. No additional food such as “ghutti” and dal water is to be given. Even water is not to be given even if the weather is extremely hot and dry. The only exceptions include administration of oral rehydration solution, oral vaccines, vitamins, minerals supplements or medicines. Exclusive breastfeeding is recommended till 6 months of age. 1. Timely – meaning that they are introduced when the need for energy and nutrients exceeds what can be provided through exclusive breastfeeding. 2. Adequate – meaning that they provide sufficient energy, protein and micronutrients to meet a growing child’s nutritional needs. 3. Safe – meaning that they are hygienically prepared and stored and fed with clean hands using clean utensils and not using bottles or teats. Weaning is the gradual process through which a baby reduces its reliance on a predominantly liquid milk-based diet and gets used to eating adult foods. It usually involves introduction of semi-solid and then solid foods until the child’s diet consists of, largely the family food. The process varies from culture to culture. Healthy babies of weaning age are growing and developing very fast, so great care has to be taken to see that they get enough and the right kind of food. Weaning does not mean discontinuation of breastfeeding. “Fully immunized” is defined as a child who has received all the due vaccines up to 1 year of age. “Completely immunized” is defined as a child who has received all the due vaccines up to 2 years of age. 1. GOI. Reading Material for ASHA, book no. 2. New Delhi: MoHFW; 2006. 4. GOI, 2016. 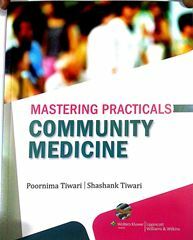 Immunization Handbook for Medical Officers. New Delhi: MoHFW; 2016.